Awesome sight. This comment has been hidden due to low approval. 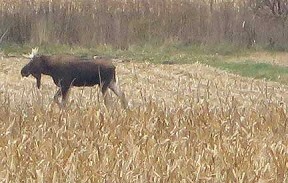 My little brother has also seen this moose in our woods last week on the north side of protivin This comment has been hidden due to low approval.